Our BUSH WALKS are very popular insofar as our guests are afforded a brilliant opportunity to get really close to Nature on foot. 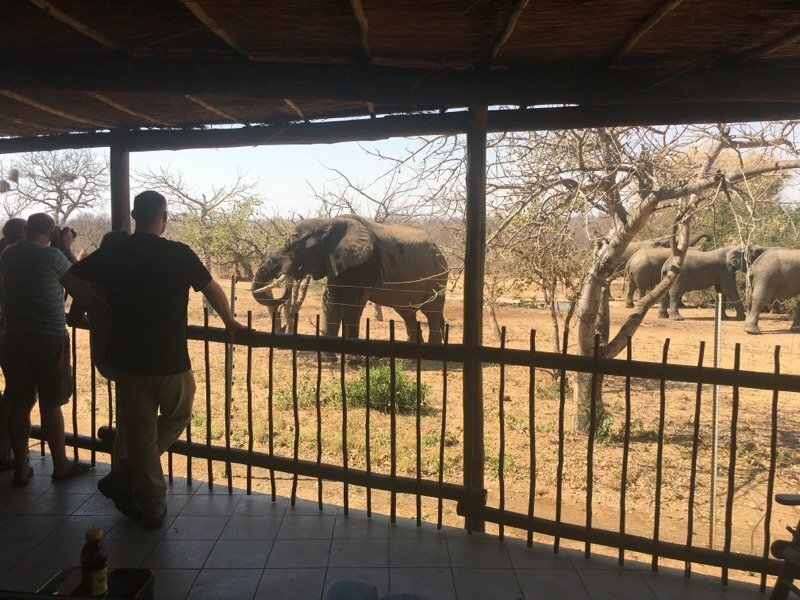 Guests may experience an acute adrenalin charge when in the presence of Big Five animals such as elephant, lion, rhino and buffalo. 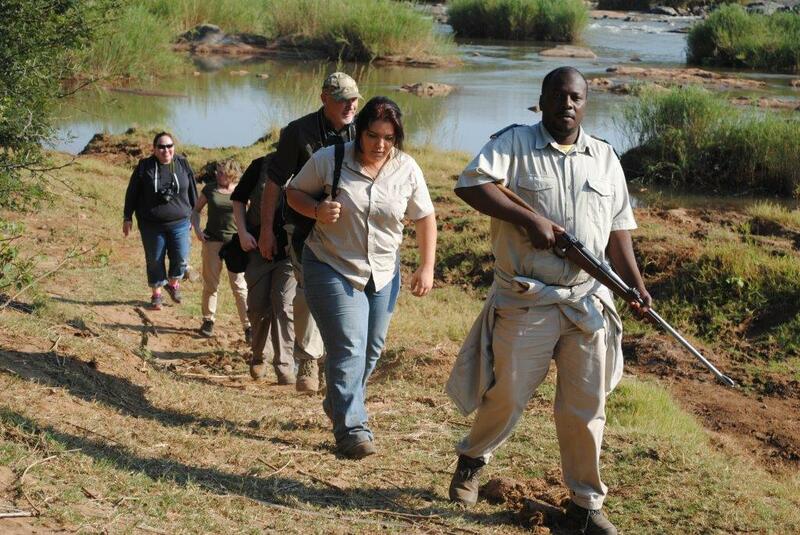 Guests on our Bush Walks are always accompanied by two armed rangers. 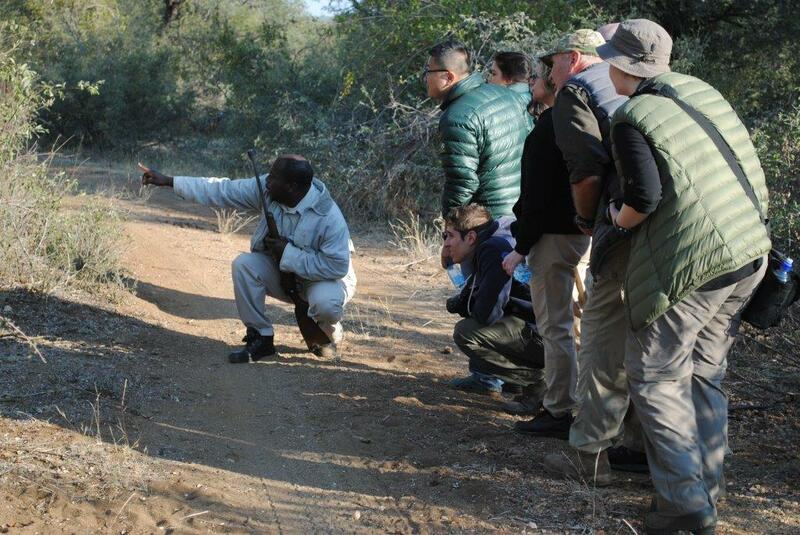 Although there is no legal limit to the minimum age of participants, Viva Safaris is informed by the recommendations of FGASA (Field Guides Association of S.A.). FGASA recommends that the minimum age be 16. Tourists aged between 12 and 16 may be permitted to participate in the bush walks as long as their parents take full responsibility in ensuring their children strictly obey all instructions from our rangers. TRANSFERS to and from Gauteng to our accommodation establishments are in airconditioned Toyota Quantums. We offer you excellent security as we conduct door-to-door collection from your homes, hotels, hostels or Oliver Tambo Airport, thus ensuring your safety. Lunchstops are made at Dullstroom. We generally leave the JHB area by 09h30 latest and return by 17h00 earliest. 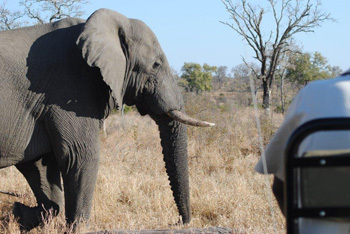 THE SUNSET DRIVE affords you your first opportunity of seeing Africa’s animals. 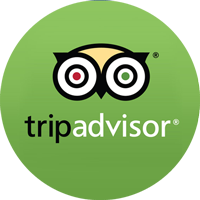 Our qualified guide will take you on our open 4 x 4 Landcruiser Game Drive. Stops will be made to photograph the stunning sunsets and to listen to the night sounds and admire the clear Southern hemisphere constellation. Spotlights are used to locate elusive nocturnal animals. 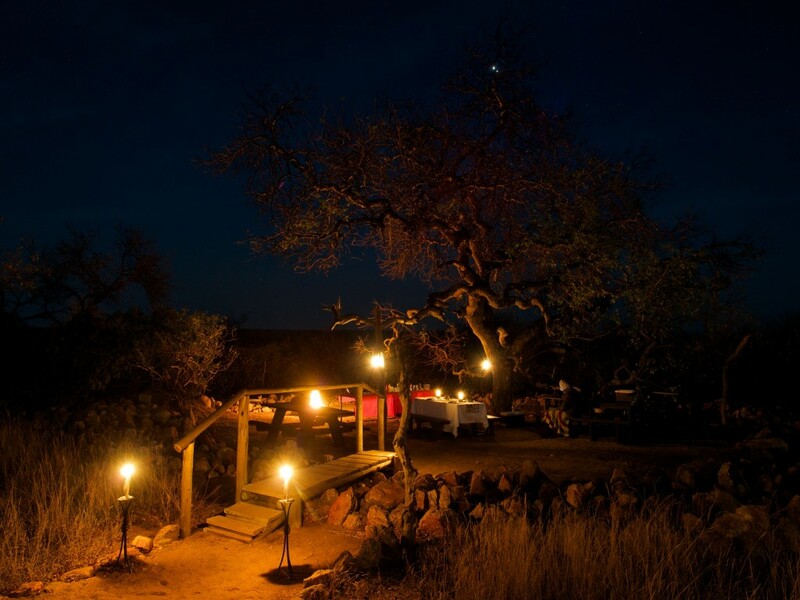 THE BUSH BRAAI is held on the first night of our safaris. Viva Safaris has acquired a 20 hectare property deep in Balule – in fact over 10km from the Main gate. We have built a beautiful Boma under a magnificent Marula Tree which we have protected against elephants by a ring of sharp-edged rocks. We have a flush toilet and wash hand basin. 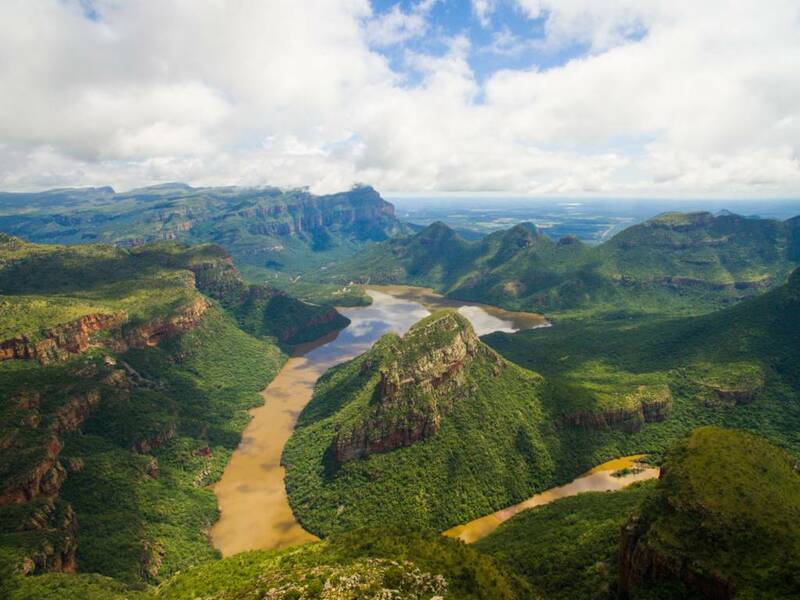 Armed rangers will patrol while you enjoy a BUSH BRAAI in this remote piece of Africa. 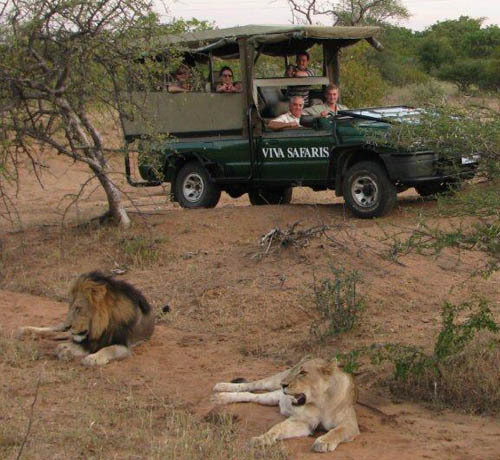 SAFARIS IN KRUGER PARK are conducted on nine-seater open gameviewing vehicles. The open gameviewers offer elevated vantage positions from where your gameviewing and photographic opportunities are greatly enhanced. All our gameviewing vehicles are 4 x 4 conversions with access to all roads in all weather conditions. TARIFFS include all transfers, all entry fees, all game drives and game walks and accommodation on a dinner, bed and breakfast basis. Excluded are lunches on transfer days and the day spent in Kruger Park, drinks, gratuities and personal items. Tariffs are valid for the full calendar year. Our armed rangers conducting a bush walk.